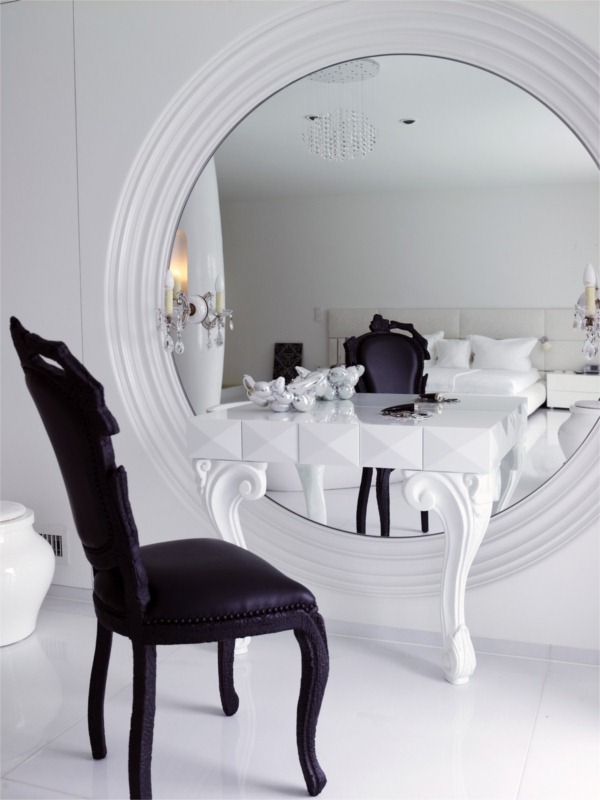 World renowned designer and a personal favorite, Marcel Wanders, and award-winning Los Angeles, Switzerland and Hong Kong-based tecARCHITECTURE collaborated on the Casa Son Vida luxury villa on the Island of Mallorca. Located approximately 15 minutes outside of Palma de Mallorca in an exclusive community called Son Vida. The 8,500 square foot luxury residence acts to redefine luxury architecture as it is typified by the traditional Mediterranean and Tuscan styles otherwise found on the island. The structure is a bold, curvaceous shape that completely evades conventional definition of modern villas. The idea is that the two pieces co-exist as separate entities, meeting abruptly and then quite literally turning away from each other. Their interaction suggests a chance encounter and speaks to the deliberate and bold juxtaposition of the two elements. 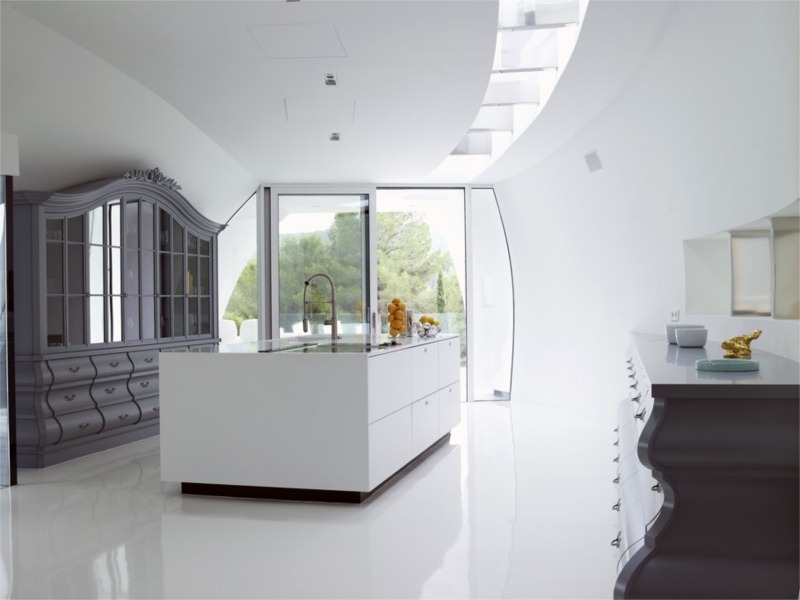 The contrast between the curvy cabinets against the wall and the more functional island is typical of Marcel Wanders. Although he managed to use strong colors in other areas of the villa, he remained classic when choosing those of the kitchen . Great walk in closet I am sure every woman would appreciate. Notice how the mosaics reach the entrance. 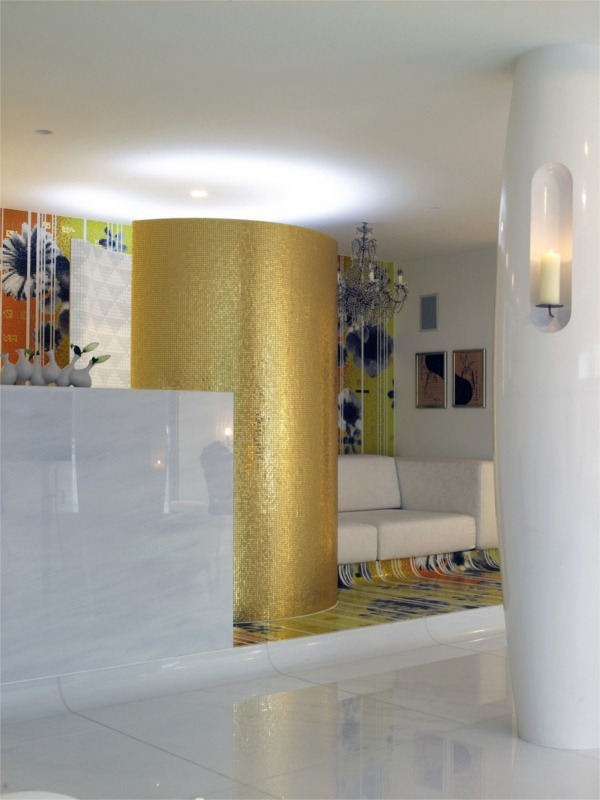 I loved the use of Bisazza mosaics, a combination that is just breathtaking. 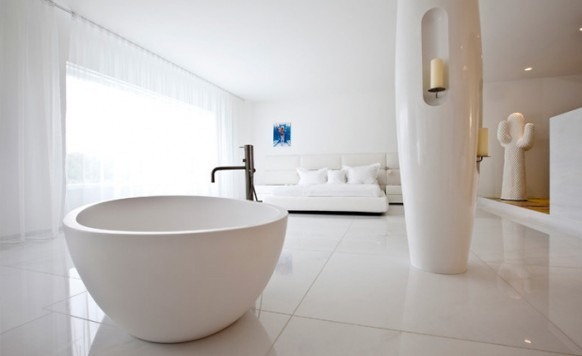 Shower “pipe” is among my favorites by Boffi. 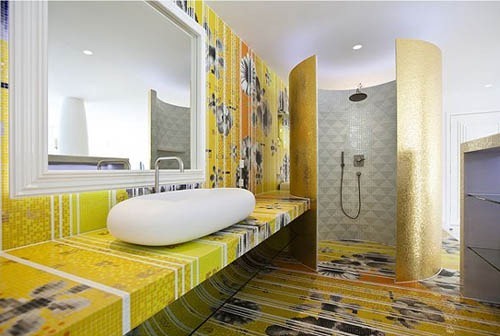 I never imagined I would love a yellow bathroom until I saw this.